The hotel has been bought by South African private equity fund, Fairtree Hospitality Real Estate Private Equity Fund, managed by Fairtree Capital. The team are to remain in their current roles, and Martin Nicholas will continue as hotel manager, under the direction of boutique hotel management specialists Providence Hospitality. The Old Quay House is the fund’s first acquisition in the UK, and they are looking forward to building on what we have achieved in offering a unique guest experience in Fowey. During the 13 years we have owned the hotel, we have enriched our lives by making new friends of guests, staff and the Fowey community. It has been a great place to live and work. Whilst Bath will now be our permanent base, it is our aim before retiring gracefully, to keep ourselves as busy as possible. I will continue to travel, and consult for hospitality consultants Godfrey Adamson, and Roy will further indulge his passion for cars. We would like to thank Scott Mitchell at solicitors Stephens Scown LLP and Tom Roach of Francis Clark Chartered Accountants for managing the deal on our behalf, and Matthew Smith, director of Christie + Co’s Exeter office, who acted as agent for both us, and the new owners. 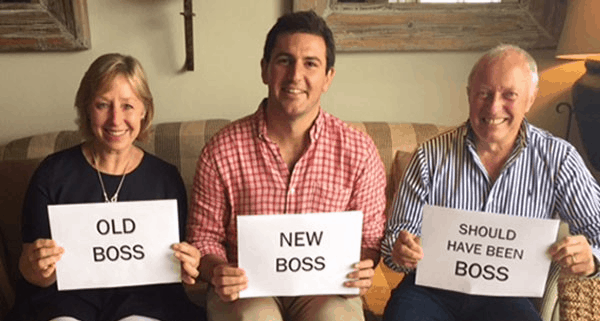 We wish Joe Bester and his team at Fairtree Capital much happiness and success as the Old Quay House moves into the next phase of its life.